Next weekend I’ll be a guest on some panels at the Spooky Empire horror convention in Orlando, Florida. 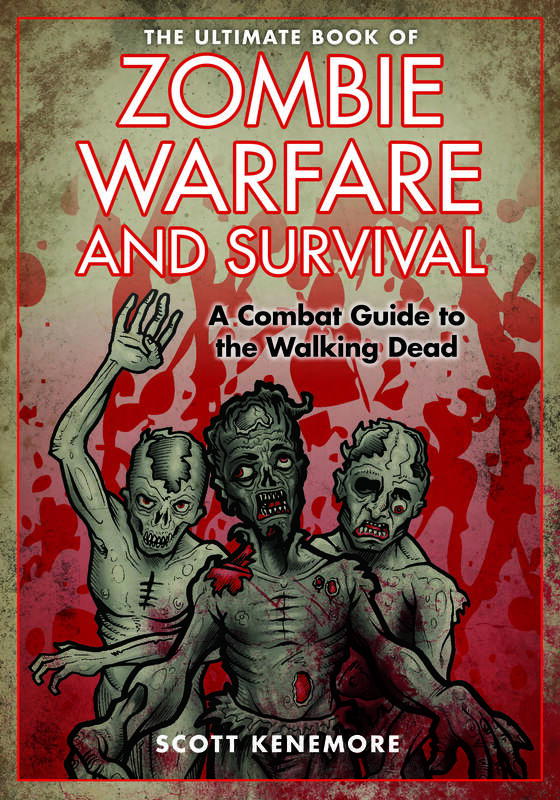 I’ll have some copies of Zombie, Illinois and Zombie Warfare and Survival with me for sale. Stop by and say hi if you’re around! Barring any surprises, my schedule should run as follows. . .
Dead Man Working— the 2013 L.E. Salas film in which I play myself– is now free on Vimeo. Look for Kim Paffenroth, Steve Schlozman, and other zombie heavyweights, as well as Noam Chomsky. The Walking Dead Phenomenon, 1pm, Room 6, and Paranormal City Chicago, 3pm, Room 2. Horror writers are a diverse bunch of people. We come tall and short, fat and thin, and all ages and races. Some live in cities, others in the countryside. Some are drinkers, and some teetotalers. Most certainly, we come in both liberal and conservative strains. Since my first book was published in 2007, I’ve gotten to know the larger horror community as an incredibly dynamic, vibrant, and above all varied group of people. Indeed, it sometimes feels impossible to identify any unifying trait that we might share. . .other than a deep and abiding dedication to scaring the living hell out of people. However, in recent years a threat has emerged—a sinister shadow falling over our community, you might say—leaving us even darker than usual. And I believe that a uniform opposition to it has finally become that elusive unifying quality I could never otherwise find. This shadow is the movement—in academe and, increasingly, elsewhere—to protect readers from ideas that might trigger feelings of discomfort or trauma. This trend is disconcerting to horror writers because creating discomfort and trauma is—more or less—what we aim to do. Making people feel uncomfortable is not a byproduct of our project. It is our project. We write novels and stories (and sometimes even poems) precisely so that readers should jump at an unexpected noise, or pull the covers closer in bed that night. Our goal is to horrify. To traumatize whenever possible. To trigger the deepest, darkest fears that we can. We don’t do this out of allegiance to any form of historical oppression. Certainly, we do not do it for the money—at least not chiefly. (Since the “horror boom” of the 1990s, advances in our genre have decreased drastically.) Instead, we do this because we think something important is going on when people are scared. We think it’s possible to be sublimely and transcendently frightened. We believe fear and discomfort are sensations which, rightly conjured, can put one in touch with some of the most interesting and profound aspects of human existence. And, yes, also with vampires and zombies and tentacle monsters. Though they might agree about little else, horror writers uniformly (and acutely) understand the problematic aspects of protecting readers from discomfort. Encouragingly, there are signs that our community has had about enough. We are, finally, starting to push back. 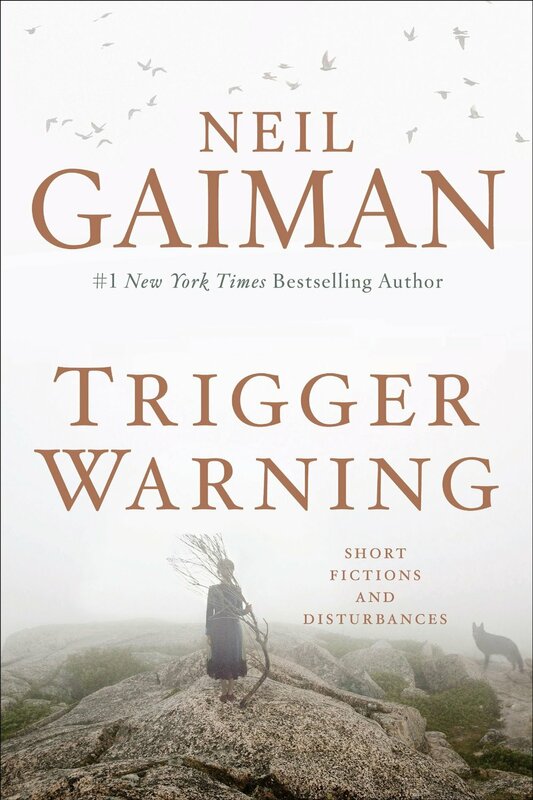 This month sees the release of a new collection of stories from horror and fantasy titan Neil Gaiman called Trigger Warning: Short Fictions and Disturbances. No part of this title is a coincidence. Gaiman is—blessedly, gloriously—owning that horror writers have a sacred duty to “disturb.” And to challenge. And, yes, to horrify. And earlier this year when the Horror Writers Association released its Preliminary Ballot for the 2014 Bram Stoker Awards (like the Pulitzer Prizes of horror), the Short Fiction category was revealed to contain a story also titled “Trigger Warning” by emerging author Patrick Freivald. These are Lexington and Concord. If I know horror writers—which I do—this is only the beginning. Horror serves an important function, and it’s time we found the temerity to point that out. It is possible, certainly, to consider these concepts through lenses other than horror fiction, but it is not, by any means, the same thing. This line has always stuck with me, because yes, there is something sick about doing this, but also something you might indeed find admirable. There is good evidence that people want or even need to be scared. Unsettling, harrowing, “fucked up” stories are as old as storytelling, and you can find them in every culture. There is a reason we desire to hear these things. Contemporary university administrators who believe they are doing students a service by presenting “trigger warnings” before unpleasant texts to create “safe spaces” are delivering spoilers of the very worst kind. They spoil all that is good and special and salutary about coming into contact with difficult ideas. There is a tangible benefit to being challenged and scared and even horrified. It makes you grow as a person. It opens your mind to new and important ways of seeing the world. Gaiman and Freivald have lately affirmed this through the titles of their works, but it’s something the horror community has known for years. We are here to tell you that the trigger is the point. We are here to tell you that no space is safe. And we are never going to stop. Rocky Wood passed away yesterday after a long battle with ALS. 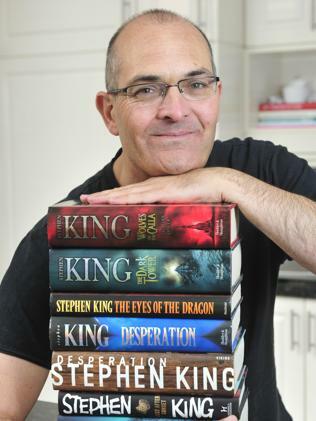 Beyond being arguably the greatest living Stephen King expert– famously possessing such acumen that King himself hired Wood as a fact checker– and beyond his tireless efforts as President of the HWA, I will remember Rocky as someone who inspired others while challenging preconceived notions about living and working with an incapacitating medical condition. On a personal level, Rocky’s leadership really made me reevaluate how I think about what’s possible– like, say, being the head of an international arts organization– when one’s physical functionality no longer comports with traditional norms. Many of today’s remembrances will be posted by people who were more closely acquainted with Rocky than I was. Indeed, I’m one of many who knew him only from his appearances at the Bram Stoker Awards and from his endless work on behalf of the HWA. But the fact that, even in these strictly administrative capacities, he was still able to have such a powerful impact on my received ideas about people living with conditions like ALS. . .
Well, you see, that’s kind of my point. My favorite illustrative “Rocky moment” might be at the 2011-2012 Bram Stoker Awards in Salt Lake City when he accepted the Stoker for Stephen King: A Literary Companion. Physically unable to speak by that point, Rocky had an assistant join him on stage to read a prepared acceptance speech. Yet– obstreperously and wonderfully– before his helper could start reading, Rocky began to gesture as though he intended the entire acceptance speech should occur through his playing charades with the audience. (First word… Two syllables…) He then flashed a wry smile. The audience– myself included– loved it and laughed. To have lost one’s voice permanently. . .and to still choose to use such an occasion to bring delight to others. Egad! What bravery and awesomeness! Yet, for Rocky, this seems to have been typical. He lived with ALS for about 5 years, and seems to have used all of that time not only to grow the HWA, but to do some of his very best critical work. While, again, I did not know Rocky as a close friend, I suspect I’m not alone in having been deeply impressed and influenced by this extraordinary leader and powerful champion of horror fiction. Rest in peace, gunslinger. There are other worlds than these.